We all have to travel in our country or abroad. And it is very important to find the right address. Modern technology can help us in this area of life. Let’s look at the basic aspects of which GPS navigator is better to buy for obtaining a reliable travel assistant for you. A GPS navigator is an electronic device which with helping of global GPS positioning system signals allows you to determine your location on a terrain map. 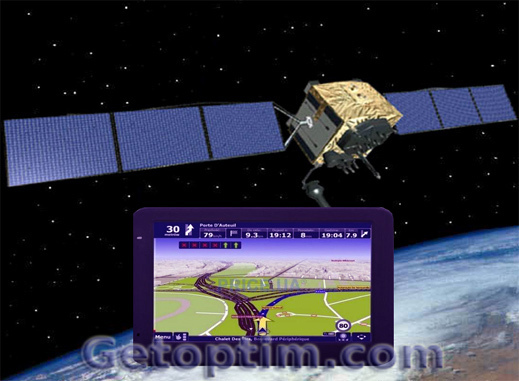 How does a GPS device work? The principle of a GPS navigator work (GPS navigation) is that it processes the time intervals for receiving signals from GPS satellites and, as a result, calculates its latitude and longitude coordinates (in some cases altitude). The structure of a navigator is as follows: satellite signals via the GPS module are transmitted to the processor of the device, and results of its processing are displayed on monitor. The capabilities of the GPS navigator processor will depend on the speed of the signal processing and the overall speed of the device. The main criterion for the power of the processor is its frequency, which was already mentioned in the article about media players. Currently, we can recommend the choice of a GPS navigator with a processor frequency of minimum 600 MHz. A GPS navigator is most commonly used in motion, so the user’s perception of information depends on the size of its display. The size of the display of the GPS navigation device is measured in inches and can often range from 3.5 to 7 inches. 3.5-inch navigators can be used in walking walks, because they are compact and comfortable. An automobile navigator should have a display size of at least 5 inches. We already mentioned the resolution in the article about photo frames. Briefly, we’ll remind you that the resolution depends on the image quality. 3.5″ GPS navigators have a resolution of 320×240 pixels (as in many old phones). A portable pocket GPS navigator for manual use may have such resolution. 7″ – 800×480 pixels or more. 4. Operative and built-in memory volume. The speed of the device and the number of tasks that it can perform simultaneously depends from the amount of RAM (operative memory) largely. Modern GPS navigators can have 64, 128 or 256 MB or more memory. Basically, 128 MB should be enough to perform basic tasks. The amount of internal memory depends on the amount of information that can be stored on the device. Most manufacturers of GPS navigators complete their devices with built-in memory of 4 GB. In order to increase the amount of built-in memory, most digital GPS device models require the installation of additional digital memory cards, mainly micro SD. 5. Features of the navigator program and GPS map. All of the above characteristics relate to hardware, however, the functionality of a navigator using is provided by GPS navigation software – the operating system and navigation software directly. Windows CE or Android is most often used as operating system. The navigation software is more diverse, programs for GPS navigators from Garmin, Navitel, Libelle and other manufacturers are quite common. To analyze all the features of the software we need to write a separate article, so if to say simply: choose the operating system that is more accustomed to you. The choice of navigation software should be based on the number of available maps for the navigator and their detail. Minimal requirements – a detailed GPS maps of your country, maximum – a worldwide GPS map. GPRS/3G/4G modules. These modules allow you to use the browser to connect to the Internet. Mp3 player, that allows you to play audio files. Video player for watching video files. FM tuner for listening to radio. This list of additional features of the GPS navigator is incomplete, for example, some models have a built-in video recorder, etc. Here’s a brief summary of the basic parameters of this device, and we wish you to buy the best new GPS navigator and let your roads always be happy.